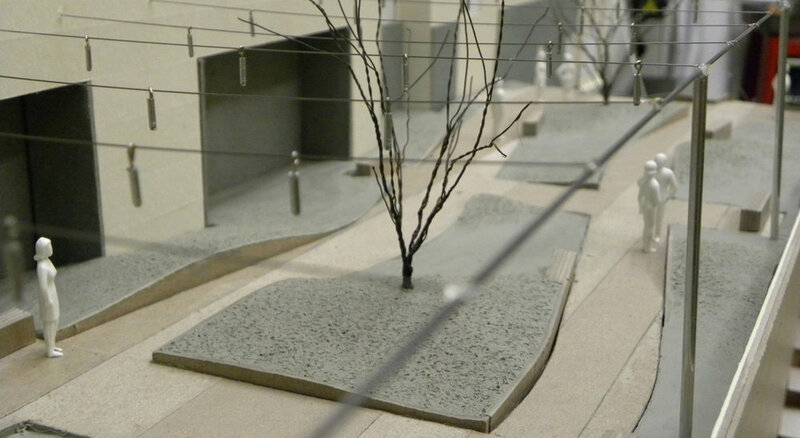 Twenty|20 — Landworks Studio, Inc. 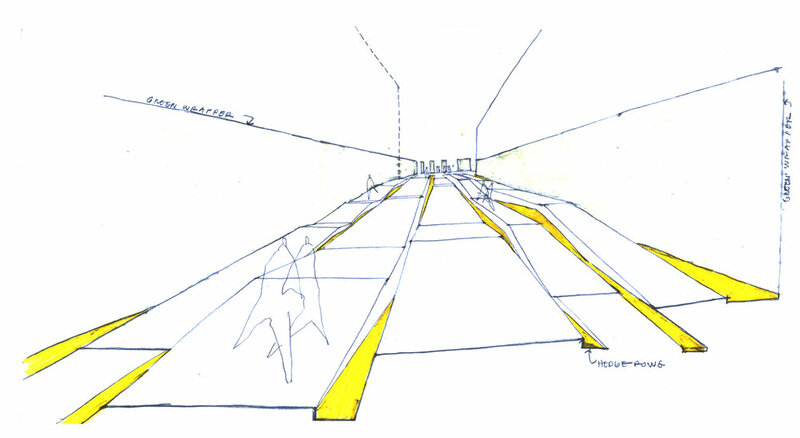 The open space concept for NorthPoint Parcel N, now known as Twenty|20 at NorthPoint in Cambridge, was to optimize synergies between private development (in this case, a proposed residential tower) and deficiencies in public realm connectivities surrounding the site, including the inhospitable pedestrian condition along the edge of the Gilmore Bridge. 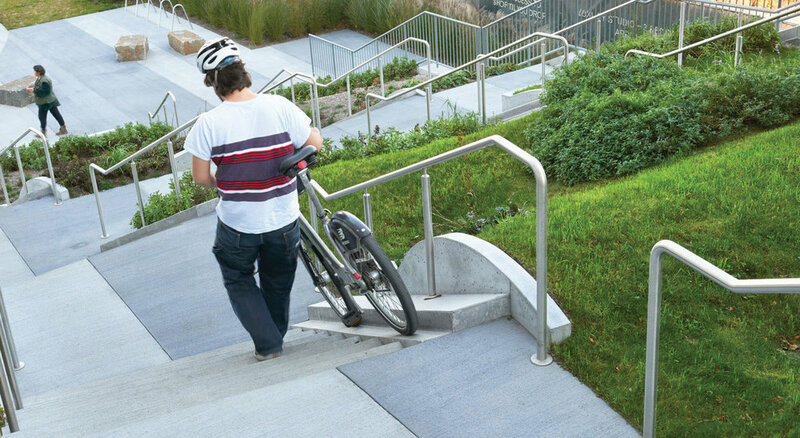 The Twenty|20 project features two major additions to the public realm in Cambridge: an elevated pedestrian park and stair, and a central green. 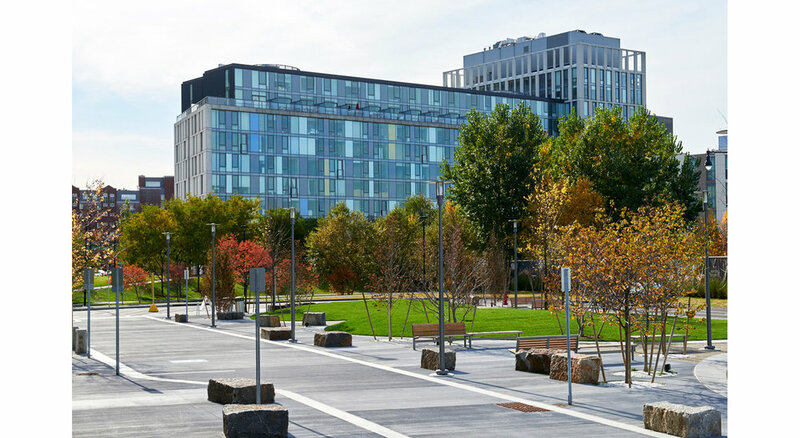 The elevated park and stair serve as a pedestrian gateway to the NorthPoint area, and provide connections to the MBTA train lines. 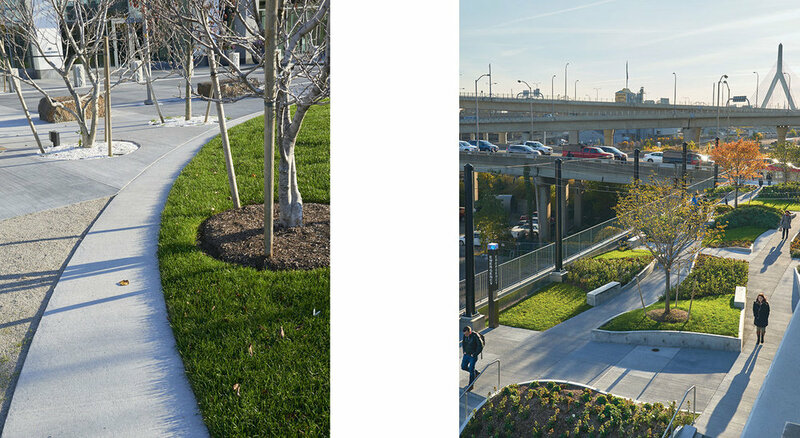 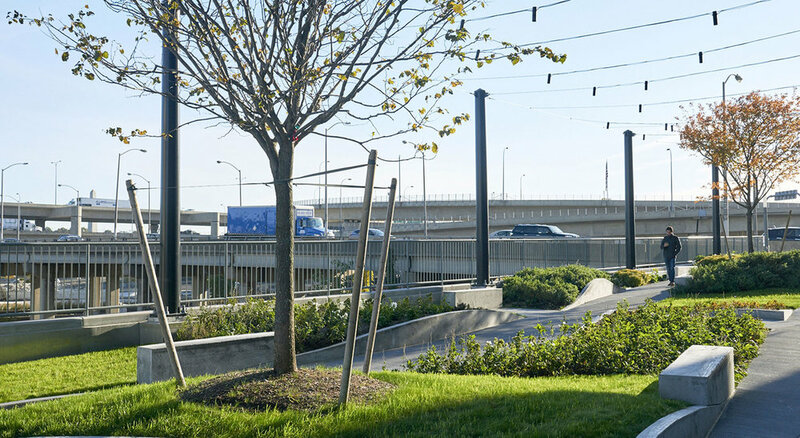 This new elevated park connection is composed of lush green walls and an undulating landscape ribbon that move from the street through the park and down the pedestrian stair. 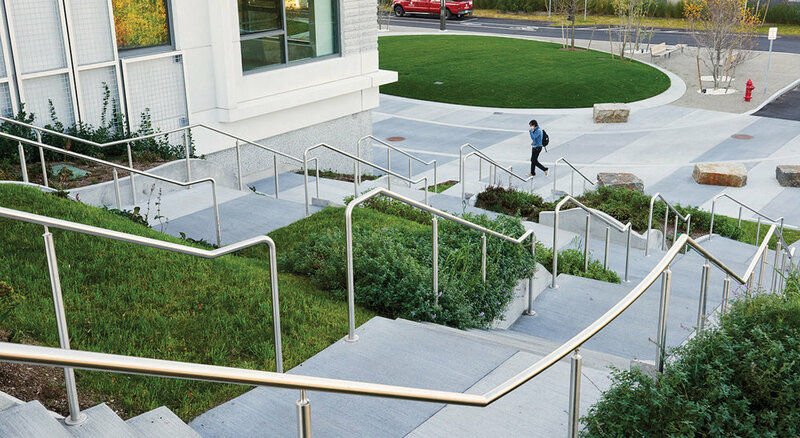 The undulating form of the ribbon rises in places to allow moments for pedestrians to sit along the form’s edge, and slopes down in other moments to encourage access to the landforms themselves. 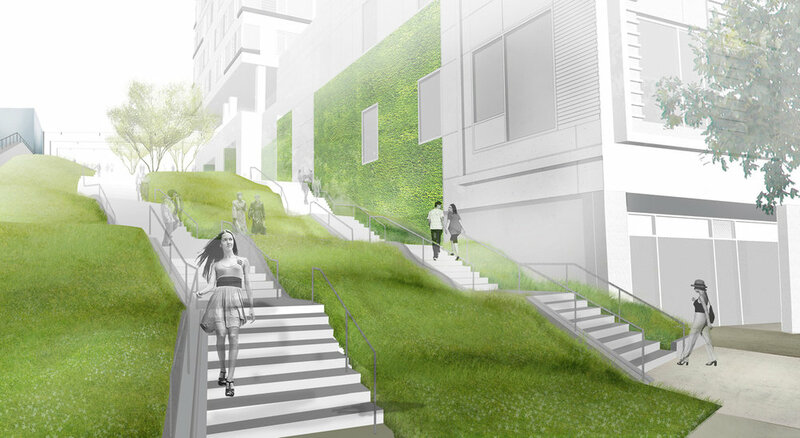 As the stair and ribbon meet the central green below, linear patterns in the groundplane extend and become part of a larger pedestrian plaza and central green. 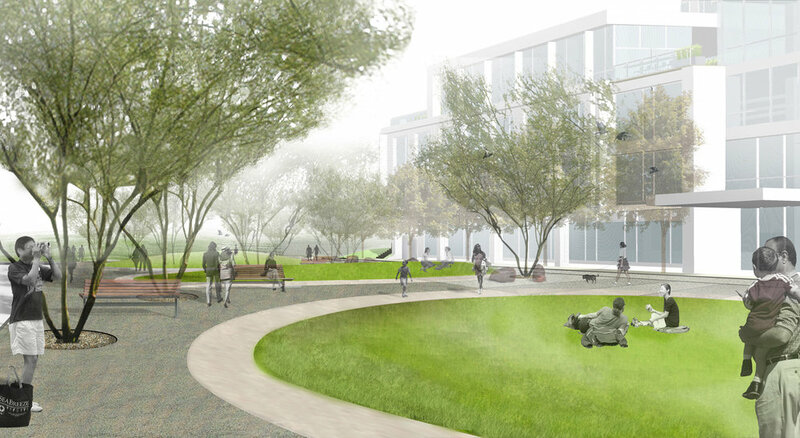 This plaza acts as a front door to the Twenty|20 building as well as to future buildings that will frame the park. 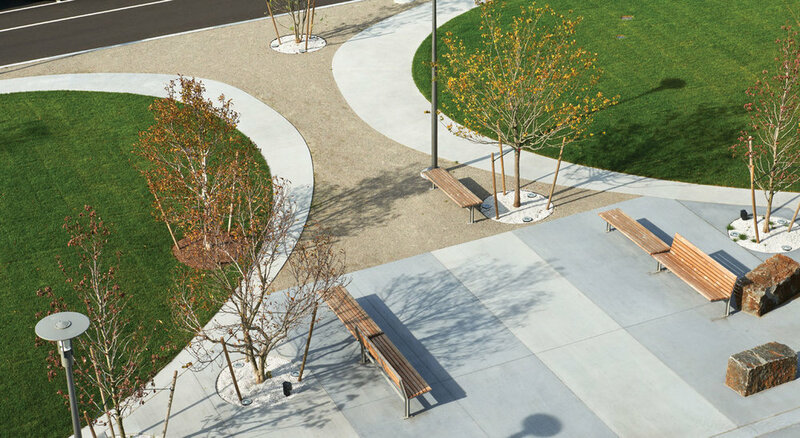 The public plaza and central green feature gathering spaces for pedestrians or groups under a flowering tree canopy, and on three gently sloping grass mounds. 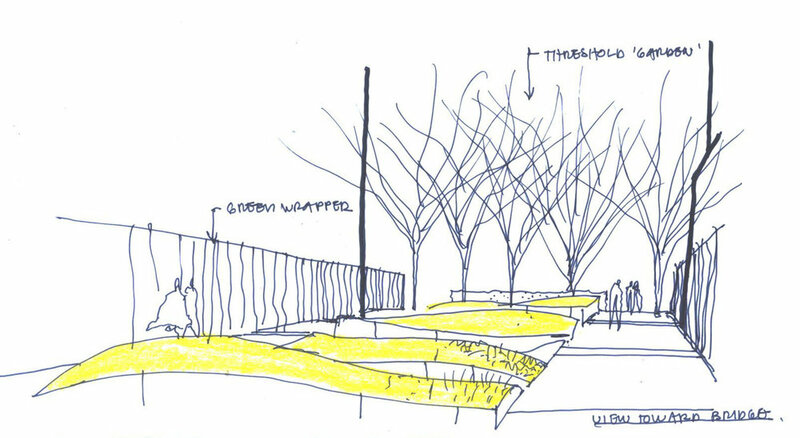 The mounds move through the park as large sculptural forms, while also providing for more traditional lawn recreation spaces. 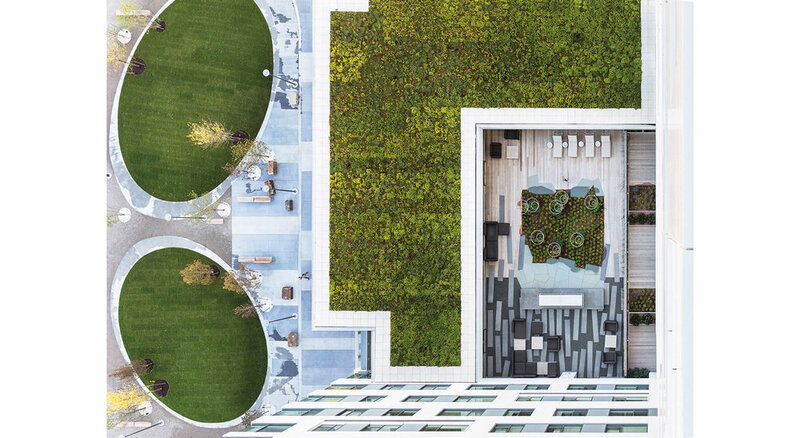 Click here to see a detailed look at the The Terrace at Twenty/20.